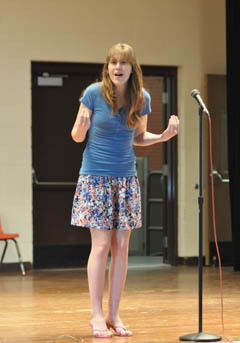 The annual Evening with the arts was an exciting event with much to do. The Gymnasium was the center for the displayed visual arts while the other entertainment took place in he commons and the auditorium. Many of he displays are just that, displays of work done in class by sixth though twelfth graders. It makes an interesting display to see how students vary their ideas starting with direction and material provided by the teacher. 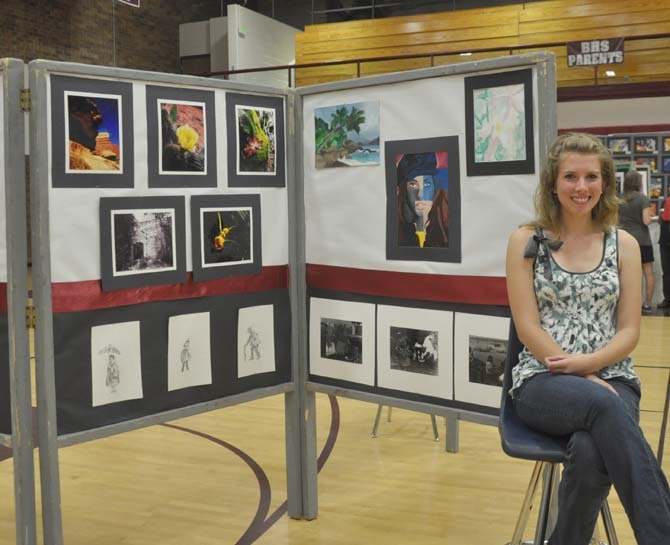 The more serious high school artists set up a display board and many of them sit or stand by their display. Senior Katie Essig was one of those who stayed to discuss her work. Essig displayed works in photography, acrylics, oils and watercolors. 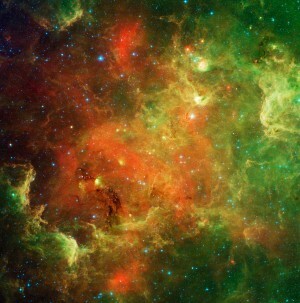 Her favorite images were photos she took near Moab, Utah. They were part of a series of a 12 image assignment in the AP Studio Art class on concentration. She focused on the contrasts that can be found in nature. 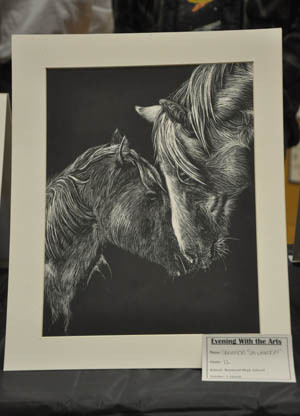 There were several examples of scratchboard art. Starting with a prepared white board with a black coating, the coating is “scratched” away to create an image, rather like creating a negative. This lovely image of horses is a good example of what can be done with this medium. Middle schooler’s work included a sixth grade unit on drawing hands and then adding a background. While the hands were similar in the several pieces on display, the backgrounds were quite varied. Eighth grade art included several example of wire sculpture. There was more entertainment outside. Members of the Forensic Club kept a large audience enthralled with their performance. If you have been watching a lot of television you may not realize that forensics arts are debate, public speaking and interpretation. The local club is a member of the National Forensic League and participates in its competitions. The three students at Friday’s performance all qualified for the national champions ship to be held in Kansas City, Missouri from June 13 to 18. This places them in the top tier of speakers in the state of Colorado as only eight participants from each state are allowed in each category. 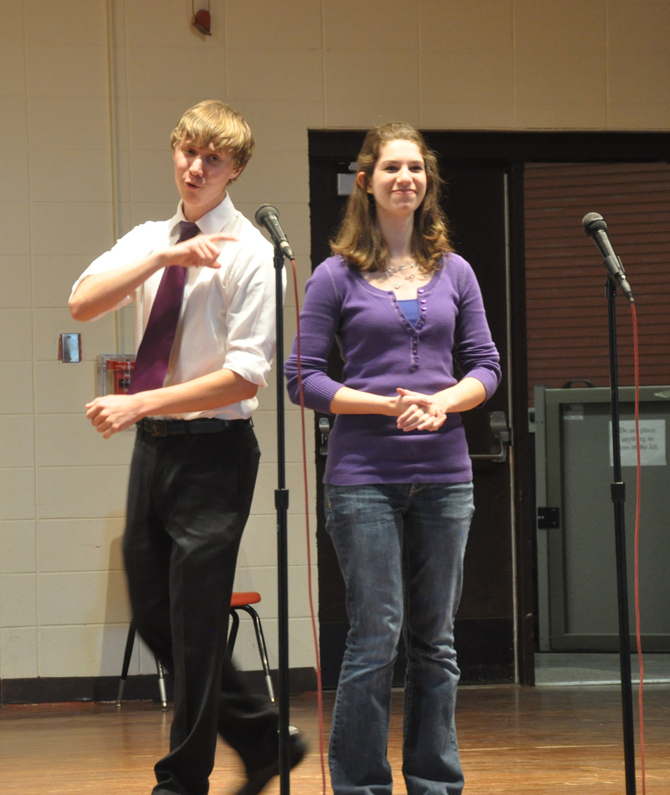 Nicolas Alexander and Lauren Sawinska performed the Humorous Duo Interpretation that earned them the qualification. Note that there are no props used, so body movement and inflection are of prime importance. Nicolas also qualified in a solo Dramatic Interpretation which he performed for the audience. Since it is not possible to compete in two categories because of scheduling, he and Lauren will not compete in the Duo. Ann Smith performed a humorous poetry reading in which she switched roles between Little Red Riding Hood, who shoots the wolf and makes a warm coat from his hide, and Snow White. Her competition piece is different; it is in the Congressional Debate category which she thought might not we entertaining enough for Friday’s audience. 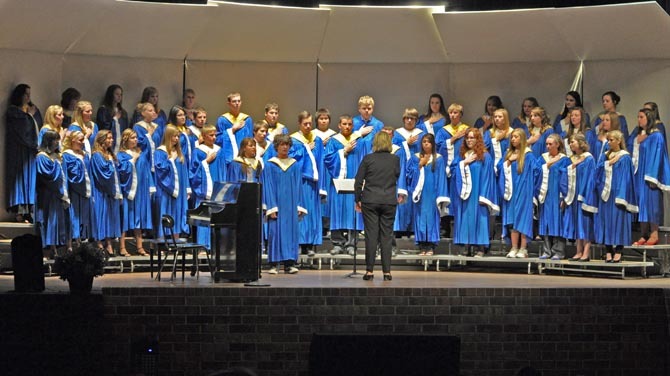 The evening finished of with performances by the Berthoud High Schools choirs. The Bridge-Between, the Women’s choir and the Combined choir sang a wide selection of numbers. The evenings fine dining was provided by Mrs. Olsen’s food class. The reasonably priced meals were prepared and sold by members of the class. 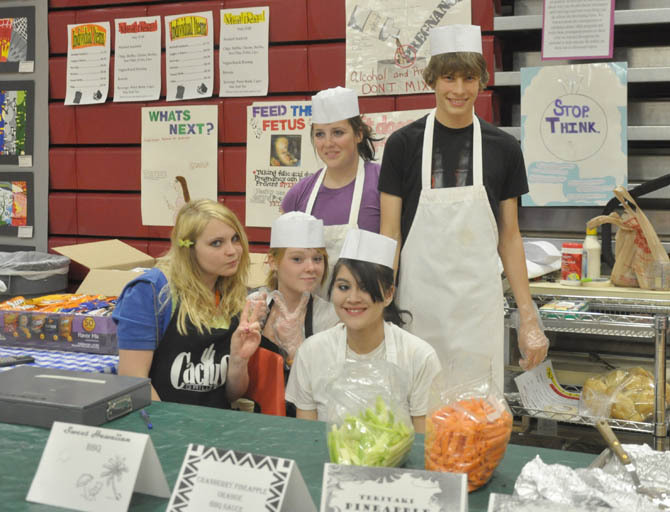 Haylie Vanpay, Mariah Garcia, Dani Krause, Jeremy Wright and Cera Watkins operated the food services. Site contents copyright © 2019 Recorder Online	except as noted. All rights reserved. | 91 queries in 2.101 seconds.